Shard Donation is a new feature added in Guild. Players can donate and receive Epic and Legendary Hero Shards within their Guilds. Click Guild button and find Shards tab, and then you can request or donate shards there. 1. Players can request for Epic and Lengendary Hero Shards in Guild. Each request can last for 24 hours. 2. Each member can send 2 requests daily. Players have to wait for 4 hours before sending second request. 3. 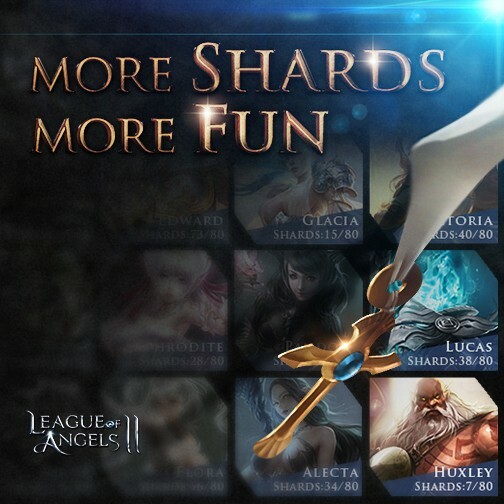 Each request can accept up to 2 shards. 4. Every shard donated returns the donator one of the following rewards: Stamina ×6, Brave Seal ×500, Gold ×50000. 5. Each member can donate once to a single request, and donate up to 8 times every day.